GURUGRAM: The final hurdle holding up Dwarka Expressway has been cleared, Union cabinet minister Nitin Gadkari said at a town hall with TOI in Gurugram on Monday. Gadkari, who handles several key portfolios in the Modi government, including road, transport, and highways, held out hope to thousands of homebuyers who have invested in real estate along the expressway only to realise that the project has missed several deadlines and work was stuck in several places. 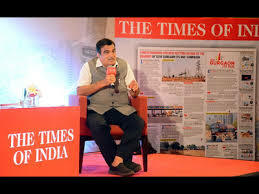 It was only recently that National Highways Authority of India (NHAI) under Gadkari took over the project. 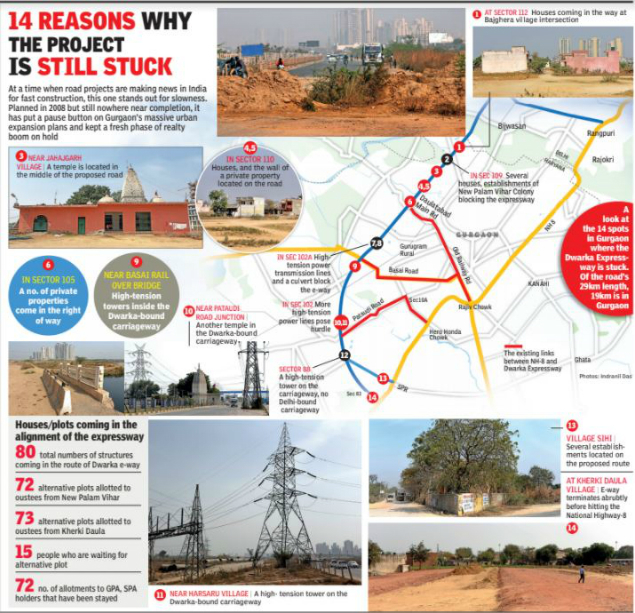 The last hurdle to the 17-km-long expressway was a group of 24 houses whose owners had moved court. This has been resolved, Gadkari told the packed town hall attended by prominent citizens of Gurugram. Gadkari said his ministry had planned to complete Dwarka Expressway in four packages, three of which have already been awarded. The fourth was pending due to litigation by house owners, but because the issue was now resolved, work will begin on it within a month. He also said 10 projects meant to address the city’s traffic issues are currently in progress. Work has started on the Dhaula Kuan to IGI airport corridor. Getting defence ministry to part with their land was tough, he said, but it has now been achieved, and work will be completed within four to five months. Citing his experience of traffic jams between Delhi and Gurugram, the minister said banquet halls on both sides of the road often cause snarls. “I’ve asked for a review of the situation with banquet halls that have encroached,” he said, adding these will have to be demolished and service lanes broadened. Work on another major project — Metrino pod taxi between Dhaula Kuan and Manesar, which he described as his “dream project” — will begin within one and a half months, he said. The ministry has received tenders from three firms, which are now being assessed. Speaking about promoting public transport, he said there is an immediate need to cut down on use of private vehicles. On shifting of Kherki Daula toll plaza, he said the ministry has decided upon shifting the toll from its present location towards Jaipur. Once the state government offers an alternative plot to NHAI, work can begin within eight days. He added the ministry is mulling over launching double decker buses on the Delhi-Jaipur, Delhi-Chandigarh and other routes, to promote public transport. The buses will have airlines-like facilities. He also said NHAI is spending Rs 1,000 crore on underpasses, flyovers and U-turn at the three crossings — Iffco Chowk, Signature Tower and Rajiv Chowk. Another major project — Eastern Peripheral Road (EPR), which had been stuck after Haryana government-appointed contractor left the project midway, and none of the state governments paid up their share of the Rs 2,000 crore cost for land acquisition — was completed by NHAI, and is likely to be inaugurated by Prime Minister Modi next week, said Gadkari. Union minister of state for chemicals and fertilizers, Rao Inderjit Singh, who is also a Gurugram MP, told the audience that all encroachments were removed from Dwarka Expressway in the past two weeks, and efforts are on to provide alternative plots to house owners who were evicted. He requested Gadkari to announce a policy that removed the toll plaza, instead of shifting it elsewhere, adding that toll fees should be collected from vehicle owners at one go, as part of registration charges. He also added that a flyover towards Ambience Mall will be built at Shankar Chowk for Rs 170 crore, with DLF and Ambience sharing 25% of the project cost each. Senior district administration officials, developers, members from prominent RWAs and social activists attended the event.